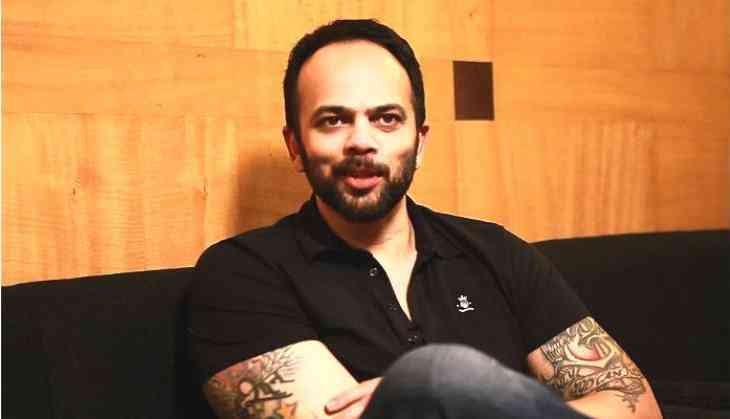 Rohit Shetty is no stranger to stunts as all of his films feature high-octane action scenes. But the filmmaker, who is hosting the eighth season of "Khatron Ke Khiladi", says it was mentally taxing to be a part of the stunt-based reality show. "It's actually a very difficult show. It's not normal. I've done other shows also as a judge - where I would go once a week and sit. But this was mentally taxing. You're working 40 days at a stretch," Shetty told PTI. The "Dilwale" helmer says working with experienced people like his frequent collaborator Ajay Devgn, is easier than making people, who have never been exposed to action, do dangerous stunts. "When you are performing with stunt-men or Ajay, who has been doing stunts for many years, you're not that stressed out. But on the show you have twelve people who have never done stunts. "You are making them perform stunts. There is stress, because you need to take care and make sure nothing goes wrong," he says. The celebrity contestants taking part on the show this season are Geeta Phogat, Hina Khan, Lopamudra Raut, Manveer Gurjar, Shantanu Maheshwari, Shiny Doshi, Rithvik Dhanjani, Ravi Dubey, Nia Sharma, Monica Dogra, Shibani Dandekar and Karan Wahi. Shetty says to make the show more interesting, this time they have added several fillers in between stunts. "There should be a little bit of drama between each segment... We wanted it to be more entertaining for the audience," he says. The show airs on Colors from tonight.